Manchester United manager Louis van Gaal has suggested the club’s supporters to bet on the Red Devils winning their first FA Cup title in 11 years. United beat Cambridge United 3-0 on Tuesday, courtesy goals from Juan Mata, Marcos Rojo and James Wilson, to progress to the fifth round of the oldest association football tournament. The 63-year-old said that his side have a real chance of winning the competition, considering that two other heavyweights – Chelsea and Manchester City have been eliminated. "We have a real chance now. Why? 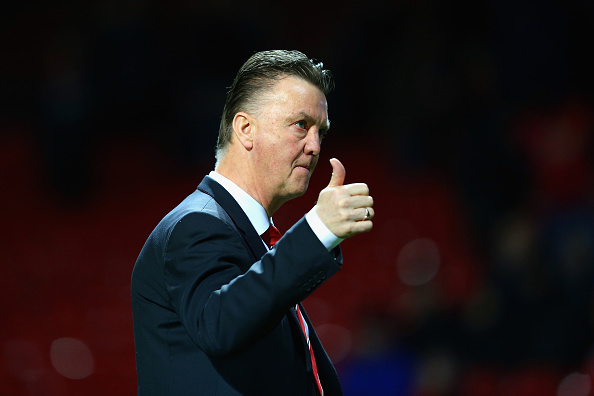 We are the highest qualified team in the FA Cup so our status is the highest,” van Gaal told in a press conference. "People are maybe betting on us.I am not allowed to and I am not a casino man but I give you a tip. Of course I think the highest qualified teams have more possibilities to win than lower qualified teams,” he added. The Dutchman has an astonishing knack for winning trophies in his maiden season at whichever club that he has managed so far and said that considering the present situation, the chances of his side winning the FA Cup look a lot brighter than them winning the Premier League. He also jokingly added that he won the pre-season friendly tournament in the United States with the club. “For me, personally, I won always a title in my first year everywhere where I worked so the chance I win a title is bigger in FA Cup than the Premier League. I have won already a title in the USA, you know that,” the former Netherlands boss said. Talking about his side’s performance versus Cambridge, van Gaal said that he was very happy to have maintained a clean sheet and added that striker Robin Van Persie wasn’t substituted after the first 45 minutes due to injury.